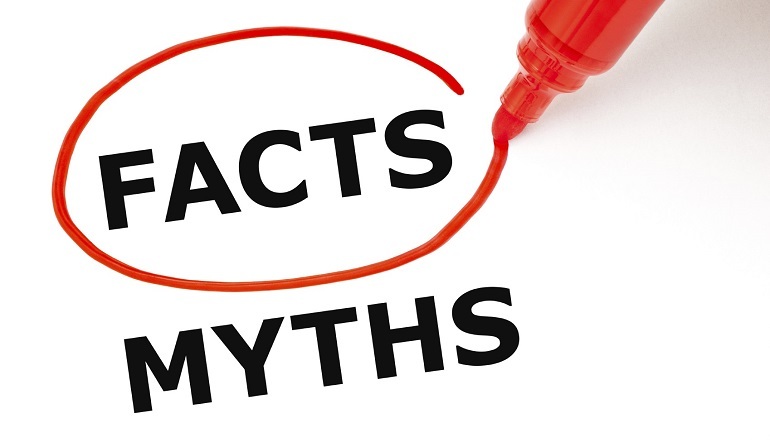 If you're considering adoption for yourself, or want to debunk some common myths for family and friends, we explain what's fact and what's fiction. 1. There are no babies, especially American babies. Of the 70,000-or-so adoptions that take place in the U.S. every year, about 18,000 are of American newborns. 2. Children adopted from abroad are all disabled or disturbed. While it’s becoming increasingly rare to adopt a healthy infant or toddler from another country, many of the children eligible for international adoption have minor, correctable special needs. 3. Adoption takes years (unless you’re a celebrity). Most of our families brought their children home within two years of submitting their paperwork–for many, the process takes less than one year. 4. Adoption costs hundreds of thousands of dollars. The average cost of an adoption, before grants and reimbursements, is about the same as the price of a mid-sized car. It is possible to complete a foster adoption for a few hundred dollars, or even $0, after reimbursements. 5. Only perfect couples can adopt. Whether you are gay, straight, single, married, divorced, disabled, rich, poor, professional, unemployed, retired, aged 21 or 60, a pillar of the community or a person with a slightly spotty past, you can adopt a child. 6. Adopted children are “stolen” from their birth families. Laws in America have multiple safeguards to ensure that a birth mother cannot be coerced or bribed into placing her child for adoption. Some international adoptions have involved bribes, deceit, or downright theft, but there are plenty of adoption agencies that can guide families to absolutely ethical international adoptions. 7. All birth mothers are unstable teenagers. Most birth mothers are women in their twenties making a well-thought-out choice to give their child a life that they cannot themselves can provide. 8. Birth parents can come back and take your child. Once an adoption has been finalized in court, the child is as much yours as if you had given birth. 9. All adoptees are troubled. Recent long-term studies of adoptees in America show that they are no different in emotional health, psychological well-being, self-esteem, and attachment to family as children raised by their biological parents. 10. Adoption always ends in tears. After 30 years of working with adoptive families, we can promise you that most adoptions end in joy, triumph, and love. Five years on: We have been “trying” for three years, ..